Having a right experience when it comes to online gaming can be quite hard sometimes. You have figured out your sound and display systems, have the appropriate graphics for your computer and is comfortable on your seat. 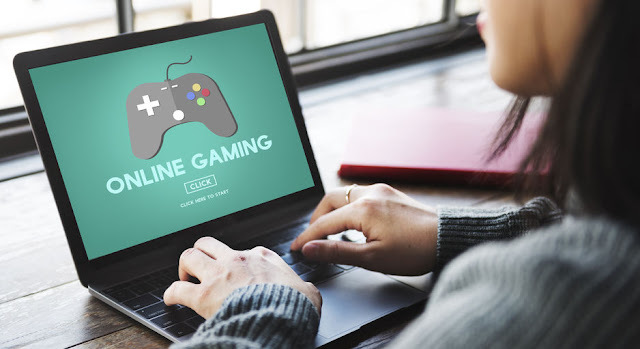 But getting a better performance from your online gaming is'nt coming your way yet, and that were VPN plays a better role to improve your online gaming experience, though there are various way in which VPN can be applied to gaming which i would be talking on in my next post which is How To Use VPN For Gaming. So, what are the pros that a Virtual Private Network or VPN could offer? Is it only beneficial for gamers or can a regular user be benefiting from it too? so in this post i would be talking about the advantages that VPN offers. Each gamer wants himself to have access to the newest games but just like movies, games have different release dates for different countries. With a VPN which is paid on your computers, console, or router you can appear as if you were in the place where the game is first released! This can definitely make a difference; especially when you are making money out of playing. Or just simply for your pleasure. Say you are from California and you will be traveling somewhere in Asia, how in the world can you maintain your connection with the server in California? If settling from one country to another means you will be connecting to the servers in that location. Through the help of VPN, with a high speed, high quality which has several choices of systems, one can connect easily to your countrys connection through a VPN. You can use your preferred systems once your game is previewed and play the way you want to while traveling. 3. Around the Globe nonstop playing and exclusives! Through a VPN, you can change your location from where you are to a place where there is an exclusive. What you should do is log-in, take the exclusives, and voila! Keep in mind that you need to sustain the linkage to the right server to have an access to the game. 4. Latency and Ping Times? Through a high-speed link and communication with a VPN provider in the similar location of the system, one can lessen delay and reaction period. With games online, internet speed rate is not having a speedy upload and download. Any system of a protocol can offer this. Reaction time or ping is the period between files being shared and collected. A 75-millisecond ping is what it takes for your device to retort to an aim of access from another engine. Lower numerical value of reaction time is better. Games online will show your reaction time rate that should stay under a thousand to evade being smashed by link lags. Online gaming managers need constant consideration from supervisors, who monitor enactment and safety. Repairing occurs on a regular basis, both for servers and clients, to deal with safety matters. If hackers find weaknesses in the battle you are playing, thieves and hackers can abuse them. These thieves can have an access to your logs and get what you have at the store. Or they can stop and steal your game to get personal information and files on your devices. This can be avoided using a VPN because your data will be encrypted and will be less vulnerable. ISP regulation happens when your ISP checks your data packets and sees that online gaming is the suspect. But since your data are encrypted and coded, therefore it cannot be inspected and your connection will not get slow due to throttling. Again, why use VPN in Online Gaming? First, you are the first! Then, you can travel and play. Third, around the Globe nonstop playing and exclusives! Fourth, Ping time and latency is a problem no more. Next, your data is always secured. Lastly, your connection will not be regulated. Thanks for reading this post and do well to share with your friends in order to improve there gaming experience too.